In some situations, these questions are easier to answer than others. If there is an existing company website, some of these questions may already have answers. For new ventures in the preliminary stages, they may be harder. Since the term “website” in todays world can mean almost anything (from a simple 5 page text based website, to e-commerce, to complex social media sites that can facilitate many members). Below are a few helpful questions to ask yourself before contacting a web design company. Answers to these questions can help in getting a more accurate price quote and timeline. What is the main purpose of the website or redesign of the website? Is the site and e-commerce website mainly used to sell products? Will the website mainly be used to provide information on your service based company? What specific problems have been experienced with the current website that you feel will benefit from the redesign? 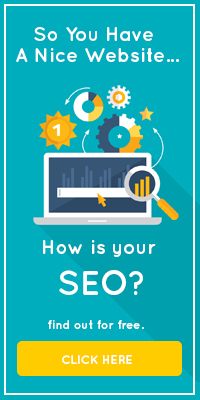 It is important to answer these questions to nail down your ultimate purpose for the site, this way your agency also knows to focus on them as well. Is the site mainly for young adults ages 13-19? or people seeking legal advice? It is important to establish who your target is to understand marketing the site to those individuals. A site designed for young adults may have to look different than a site design for people seeking legal advise. Know your competitors for what they are doing right and what they are doing wrong. You don’t want to repeat the same mistakes, but you may also want to incorporate what they are doing right into your own site. Do you have assets to provide like your logo, company style guides, etc? Unless your company is doing a complete rebranding and you have factored this expense into your budget, have these assets ready for when you do choose the right company to move forward with. Who has final approval in your company? Once you choose an agency and start the design process, it is important to know whether you, your manager, or CEO have final say over the design and development. Understanding this in the initial stages is key. It can be very costly approving work when you do not have final say, as it leads to extra hours on the agency end if work needs to be re-done after approval. Keeping to time and budget is usually important on both ends and knowing who has final say will help keep everyone on track. If the site is highly technical do you have a specifications document? A specification document is very important for highly technical projects ( social media sites, custom workflow sites, etc.). This is essentially the blueprint for what an agency will base their quote and timeline on. For example simply stating “I need a site like Facebook” (with endless social features and integration features) will not be enough for a reputable agency to quote you on. Write down a list of features you feel are essential to the success of your project so your agency knows whats involved. You will be thankful you did when you start discussing your project! A list of sites you may like and the reasons why you like them? Whether these sites are in your industry or not, they serve as a visual for the agency, on your like and dislikes. This gives the agency designers a starting point (keeping your taste in mind). What is the budget allocated for the website project? Many hold this number close to the heart, but a lot of times this isn’t necessarily to your advantage when it comes to shopping for web design company. The budget is important, not only to your company, but to the company that will potentially take on the work. Though website design hourly rates may fluctuate from company to company, they are hours none the less. It is important to discuss the budget in the initial stages to know if the web design company can meet your specifications based on your budget. Knowing your budget also helps you in the initial stages, when shopping around, to figure out whether your budget is realistic based on your technical requirements and expectations. TopWebDesignCompanyNY.com lists the top web design companies in New York. TopWebDesignCompanyNY.com is also a great resource for tips on what you need to know when shopping for the right web design firm.  If you're looking for a top-rated web design agency to handle your next development project, then you've come to the right place. We've done all the work for you and researched the best website design firms that service the Greater New York area. Check out our independent reviews and contact the design firm of your choice today.